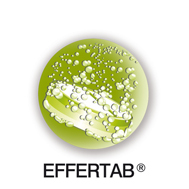 EFFERTAB® is a compressing technology allowing to exploit bio-availability of active ingredients without leaving a residue. Available with low sodium content (MINI-Effertab). One of the most common and accepted way to solve large volumes with rapid onset of action has been the Effervescent tablet. Very low humidity requirements and the controlling of interaction between the effervescent couple compounds, Bicarbonates and Organic acids, mainly citric and Tartaric are needed. Furthermore, despite difficulties to include amounts of nutritionals, sometime large, SIIT has targeted the development of its own EFFERTAB® technology, that can be applied to finished tablet product destined to be dissolved in one glass of water, generating in about 3 minutes a solution of completely bioavailable ingredients. 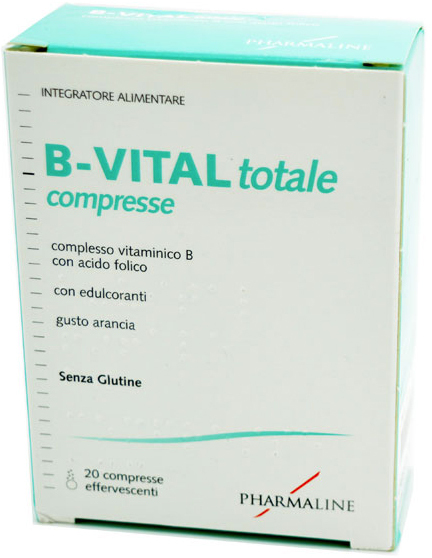 The aim can be to release hydro soluble Actives for the most prompt absorption in the stomach , as a solution, for systemic use, in special way in the cases where immediate effect and enhanced plasmatic levels are required. The shape is typically round. The surface can be white or colored. The natural target of an effervescent tablet is the stomach. Each application of EFFERTAB® on finished products is branded and could be protected by patents issued or pending. Due to own developed granulation technology realised by its manufacturing equipments SIIT is able to provide this form at lower manufacturing costs as per highest capacity volumes.